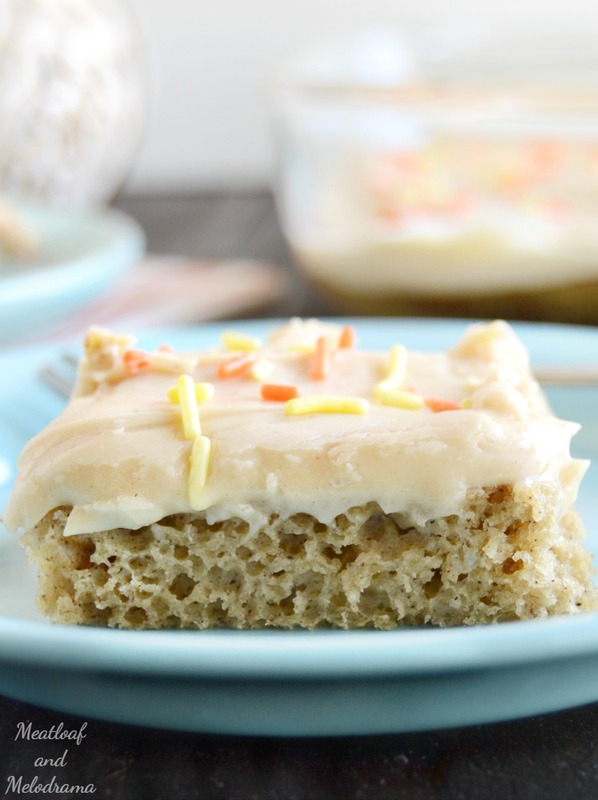 Easy Applesauce Bars take about 15 minutes to bake. 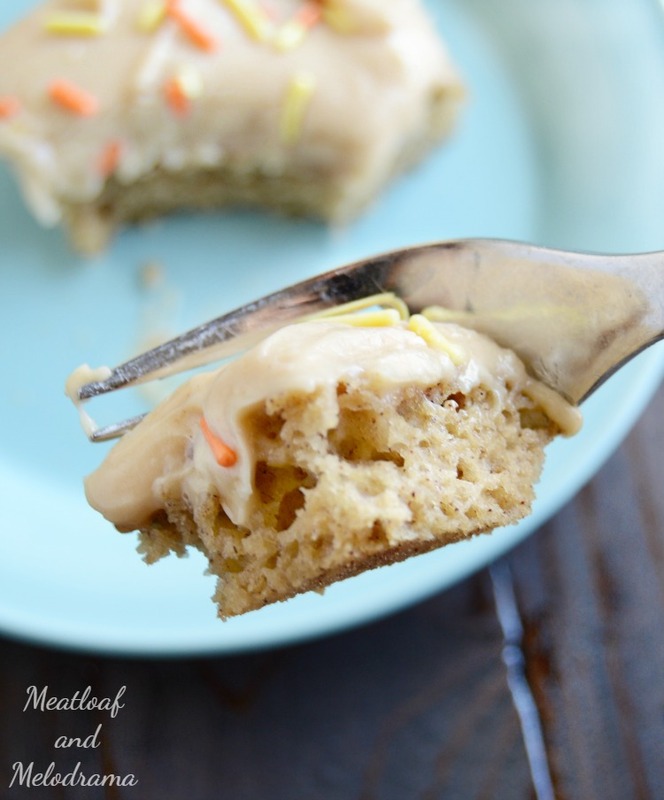 Topped with a scrumptious peanut butter and cream cheese frosting, they’re a wonderful fall treat! 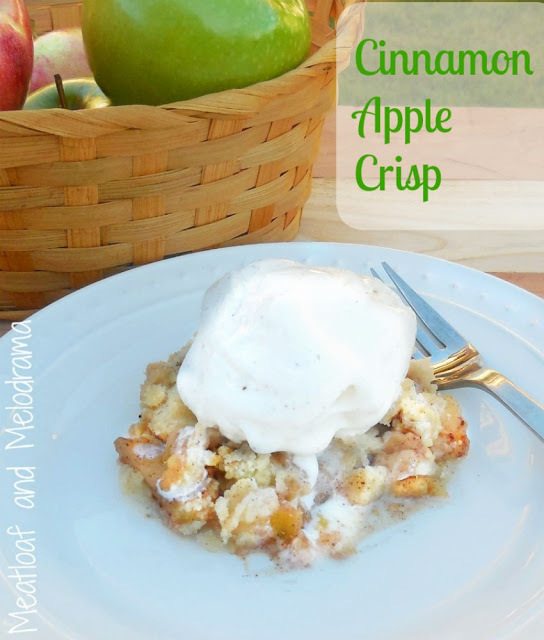 I’ve got a wonderful treat to share with you today, and if you love the classic combo of apples and cinnamon, I think you’ll flip over these Easy Applesauce Bars. 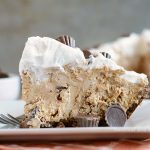 Although it’s not meant to be strictly a fall recipe, the flavors make it perfect for this time of year, especially if you’re not a big fan of pumpkin. I know that pumpkin recipes are everywhere right now, and I’ve shared several already this year. Personally, I’m a huge fan of pumpkin everything. I really love the stuff, and I would happily indulge in pumpkin treats daily if I could. But, I realize that not everyone feels the same way, like my own husband and daughter, for instance! 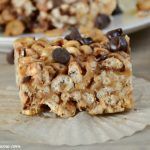 I first made these applesauce bars years ago, and they were a big hit with the family. Actually, my youngest two don’t even remember eating these. It’s been that long! Somehow, the recipe got lost in one of our moves, but i found it the other day when I was trying to organize the kitchen. I really need to get all of my paper scraps in order! I wasn’t sure it was the right one, but when I showed it to my daughter, she assured me that it was. Yes! It originally came from an old cookbook, but of course, I tweaked it here and there to suit our own tastes. 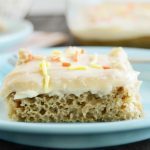 At first, the applesauce bars might seem like they’re too thin, but don’t worry — they’re just right! 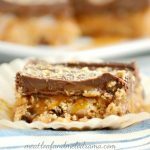 The peanut butter isn’t super strong either, so even my peanut-butter haters actually liked these bars! 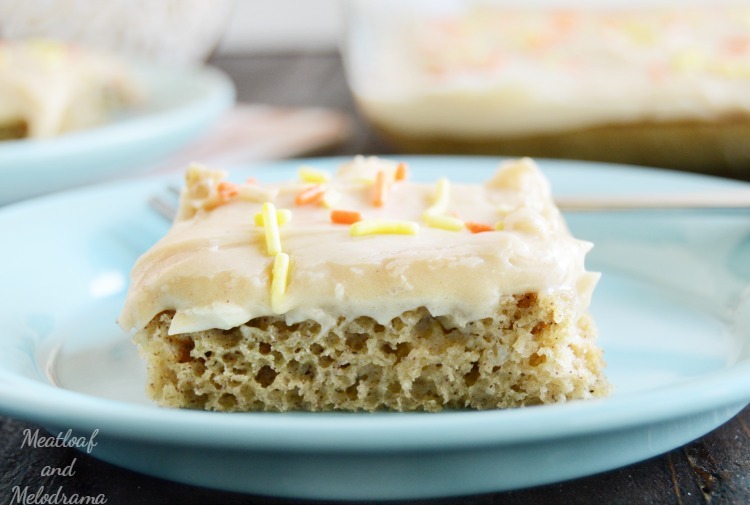 They’re soft and cake-like, so you can eat them with a fork if you want. Or, you could just let your hands get a little messy and dig right in! Mix the flour, sugar, baking powder, soda, cinnamon and salt in a medium-sized bowl. Stir in the applesauce and eggs, and mix until fully combined. Pour the batter into an ungreased 13 X 9 baking dish, and bake at 350 degrees for about 15 minutes, or until toothpick comes out clean. Meanwhile, mix the cream cheese and peanut butter with a mixer until soft. Gradually add the powdered sugar, milk and maple syrup until the mixture is light and fluffy. Spread frosting over cooled bars, and store in refrigerator until ready to eat. These bars are also good when topped with a dusting of powdered sugar instead of frosting. If you’re not a fan of frosting, you can even leave it off and maybe sprinkle some powdered sugar on the bars instead. I’ve done that before, and they’re still out of this world. 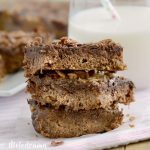 So if you’re looking for an easy fall dessert or snack, try these wonderful easy applesauce bars. I hope you enjoy them as much as we do! This is so cool! I would never have thought to make bars out of applesauce. Sounds delicious! 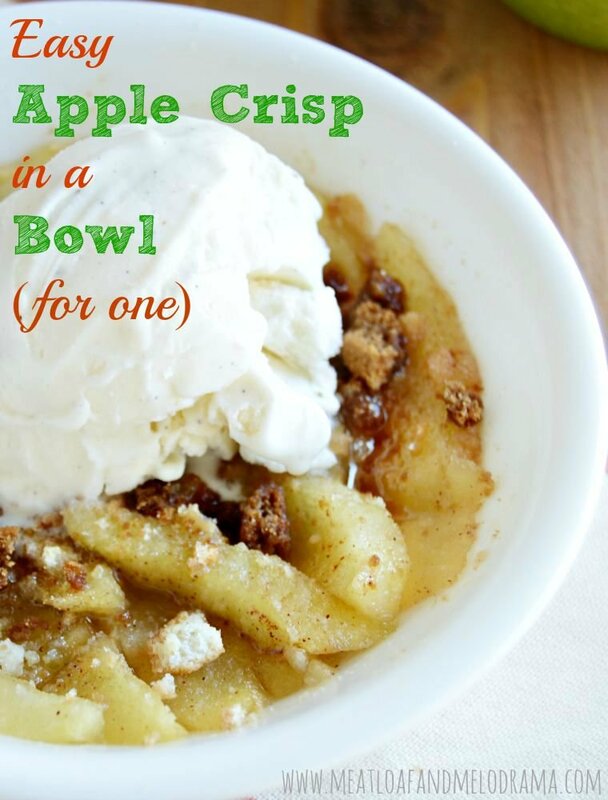 I just made some crockpot applesauce that's divine…and would be perfect to use in this dessert. These bars look awesome. Thanks so much for sharing with us at Weekend Potluck. Please come back again soon.